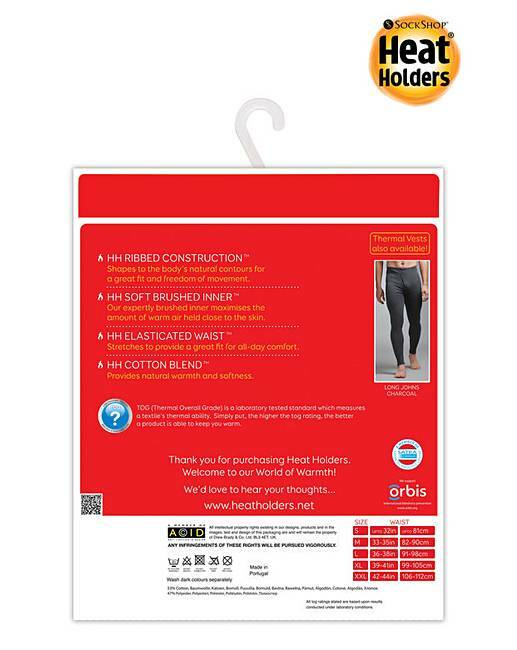 1 Pack Heat Holders Long Johns is rated 4.5 out of 5 by 26. Rated 5 out of 5 by Tom Tom from Great value. 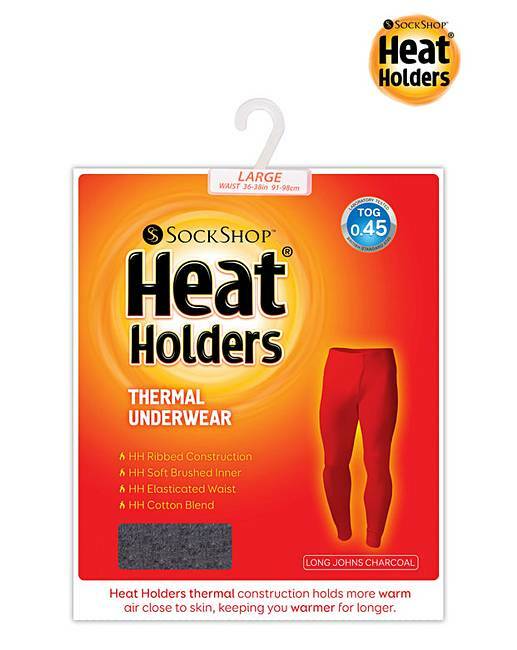 Found these to be very good value and quality and fit also they are very warm. 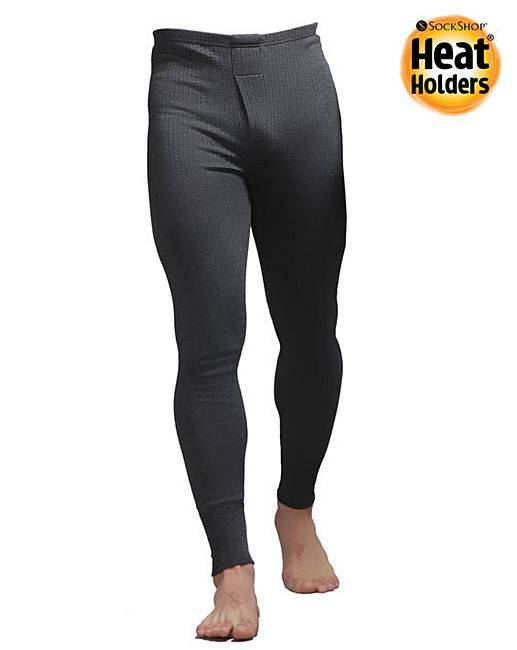 Rated 5 out of 5 by chelseaboy from Fabulously comfortable Purchased these long johns for my husband to wear under jeans. Perfect. Rated 5 out of 5 by Puffin Jo from Good buy Sentence for 6white and 6 grey came keeping them as they are good value and who cares about colour when they are so warm.